We have now completed the roll out of our new auction engine. Its function is to deliver real time auction bidding and price/outbid updates over different websites and media across the Internet. We won't bore you with the technical detail; but basicaly a person looking at green bidding screen on our Facebook App on a phone in Los Angeles will see it go red and the price update when outbid by a user on a laptop in Sydney. 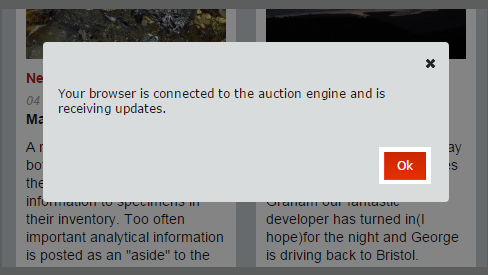 The auction engine also generates realtime clock and date/time zone settings in connection with your browser. The benefits are you no longer have to keep refreshing your screen as e-Rocks will keep supplying the latest information to you. To ensure your connection is live and receiving updates we have also introduced a network manager tool that lets you know immediately if there is a drop out. This page gives you information on how this works and what to do with it. Any other page or app posted online to other hosts will carry the same tile. The tile is there to give a realtime connection status in case the connection has dropped out. A drop out will happen if the synchronisation goes off, if your browser is inactive, a glitch in the network or something happens at our end. The tile is coloured Red Amber or Green for a simple health check. If you click the tile when green you will see this pop up. Click OK and the pop up will close. If you see the Red status click the tile and you will see this pop up. When Red, network management has detected a connection drop out. 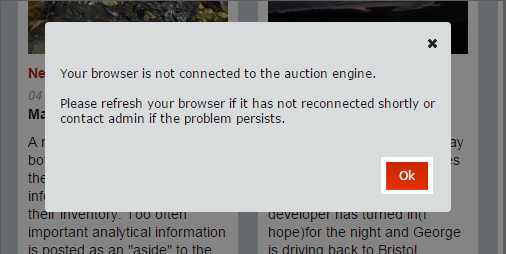 When this happens the browser will try to reconnect and synchronise to the next server update. The instructions direct you to wait for the status to go green again this usually takes 10-20 seconds. If your browser page has been inactive this is likely to have timed out. To restart the connection just refresh the webpage. A new page will be built and the normal status will load as Amber then Green. Our network managment is also checking the server every 2.5s at this end, if our updates stop we will know immediately. 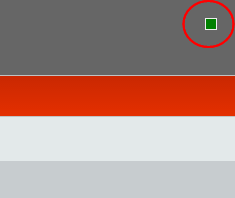 If you cannot get the Green status to return, please report immediately via our contact form.